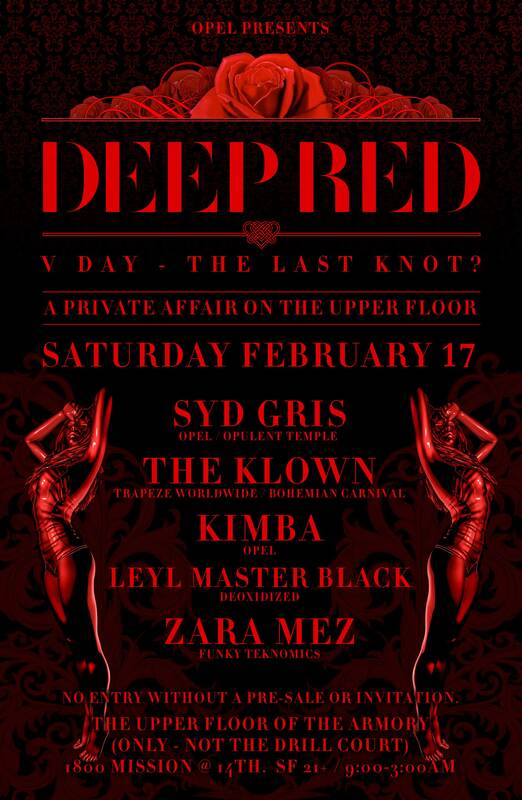 When we think of the Valentine’s portion of the calendar, we think of the the Deep smiles that come with Deep Red on the Upper Floor. Now in our 4th year, this is a highlight on Opel’s events calendar, and will be the only Deep Red we do in 2018. So get it while it’s hot, because it’s always hot. Flirt safely with your edge, and though we may try and keep this wonderful vibe and theme of a party going elsewhere, we also know there’s nothing quite like the Upper Floor.